I have been working on Thames skiffs, punts, and canoes for over 35 years! At my workshop at The Sylva Foundation I can carry out any aspect of small boat work from new build to re-build to repair work. Over the years I have gathered a good collection of rare skiff, punt and dinghy fittings and fastenings, this is a very useful resource for my work with un-powered boats. Motor launches represent a major part of my work over the years. I have built new, bespoke launches to meet the customer’s exact requirements working with my great friend and colleague, the designer Andrew Wolstenholme. I can accommodate projects up to 25ft in length for new build, re-build or repair. Over the years I have developed relationships with highly skilled engineers who can deal with all aspects of vintage petrol or steam engineering as well as other craftspeople such as upholsterers, sign writer and cover makers. All these connections allow me to complete a project to my standard and quality. The silent, smooth and clean electric propulsion is a wonderful way to power a beautiful launch on the river. 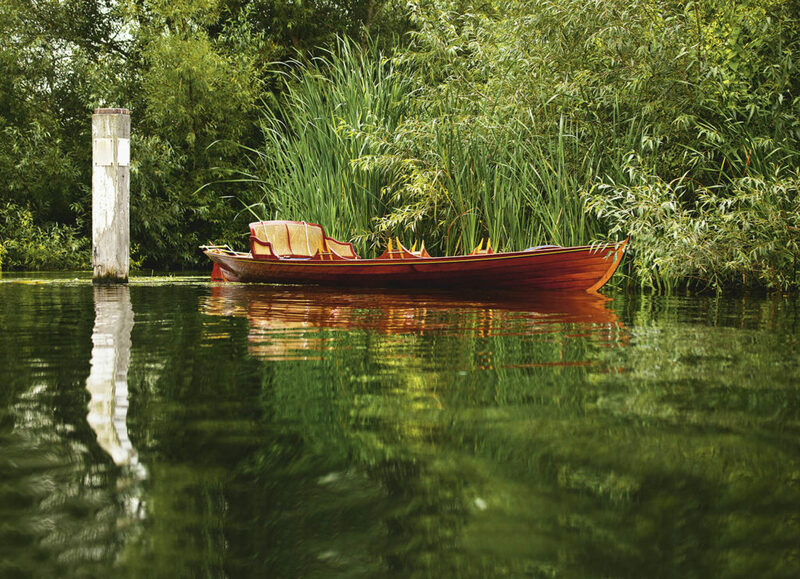 For many years I have worked with The Thames Electric Launch Company carrying out sensitive high specification installations in the boats I have built or re-built. Modern propulsion systems with their battery packs can be discreetly installed in vintage launches in a way than enhances the experience of enjoying the river without the interference of an internal combustion engine.